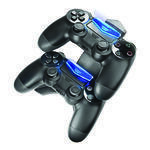 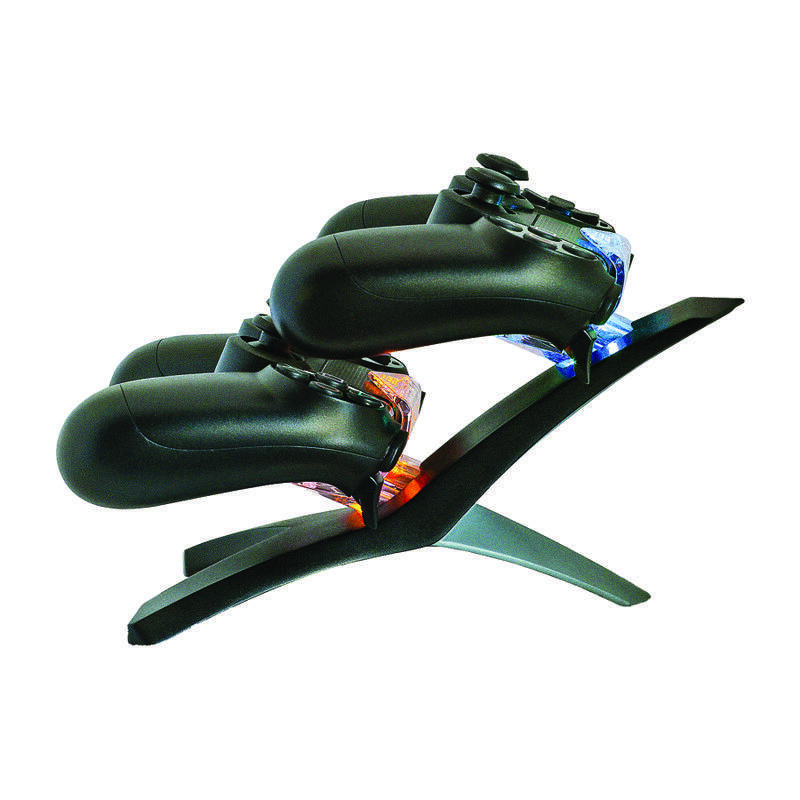 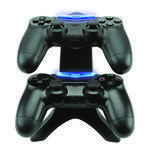 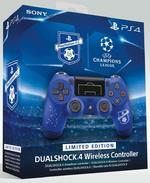 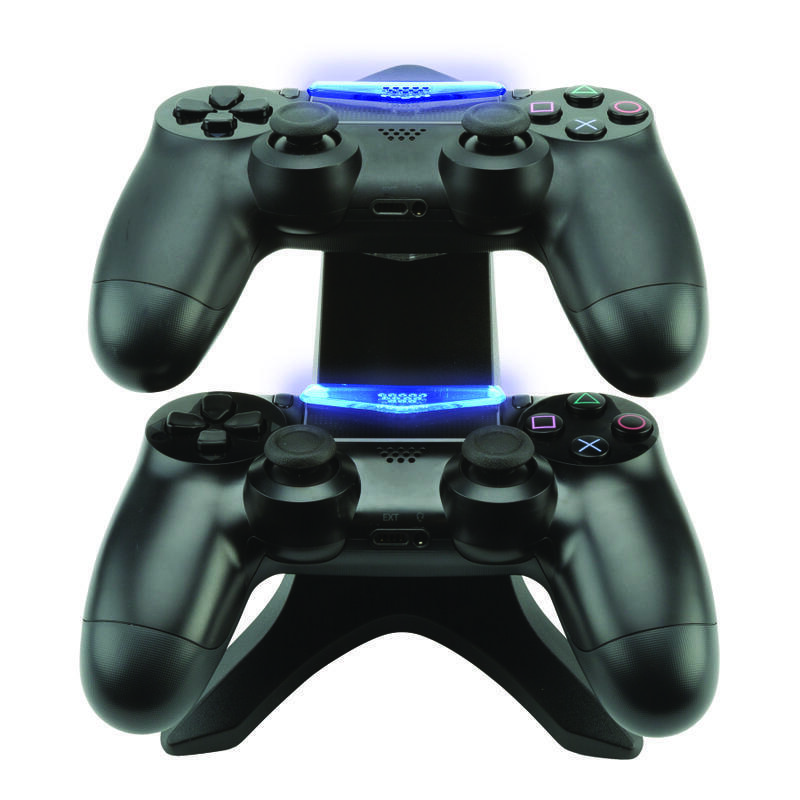 Product features: Keep your PlayStation 4 controllers fully charged with the @Play PS4 Dual Charging Station. 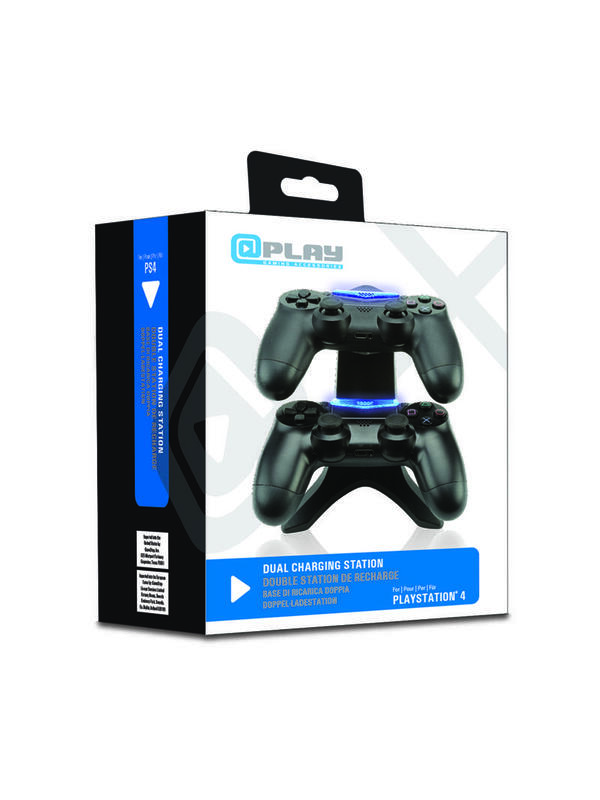 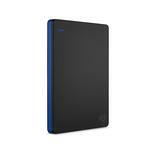 With your PS4 controllers conveniently stored and secured in the charging system’s dual cradles, you’ll never waste valuable gaming time again. The easy-to-read glowing LED lights clearly indicate charge status, so you know when you’re good to go.